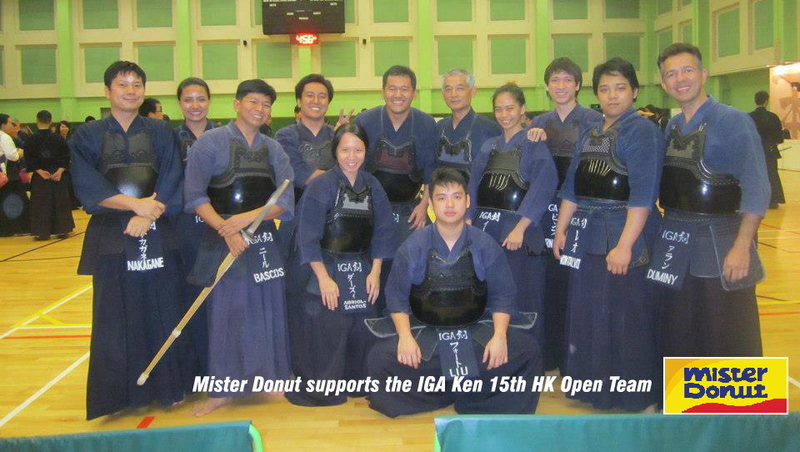 This is the first of a series of articles highlighting the IGA-Ken delegation to the 15th Hong Kong Open. The Hong Kong Asian Open Kendo Championships is an annual event organized by the Hong Kong Kendo Association (HKKA), with the support of the International Kendo Federation (FIK). Kendo clubs and national teams from all over the Asia Pacific region routinely participate in this event. From a small regional event, this has grown to be the largest such event in the Asia Pacific Region. The 14th edition of this tournament saw delegations from Australia, China, Chinese-Taipei, Hong Kong, India, Indonesia, Japan, Kazakhstan, Korea, Macau, Malaysia, Philippines, Russia, Singapore, and Vietnam compete against one another in this three day event. For the 15th, HKKA is looking to equal, if not surpass, the number of countries and territories joining the competition. This will be IGA-Ken’s 3rd time to join this tournament, as part of the Philippine Delegation with the Manila Kendo Club (MKC). The first day of the tournament is not actually for competition, but for the equally important staging of the dan-rank examinations. Candidates for the ranks of 1st-dan to 5th-dan test against one another in order to earn their dan-rank (the equivalent to black belt ranks in other martial arts). This gives the opportunity for participants from countries still not yet organized enough to have their own exams to test. The second day of the tournament is dedicated to the Ladies’ Open Competition and the 3Dan and Under Men’s Competition. The Ladies’ Open is a team competition where groups of three players square off against one another in a modified knock-out ladder format. The 3Dan and Under Competition is also a team competition (3 players), but with some restrictions. Players must be citizens of the country they are representing, and their rank in Kendo must be 3-dan and below. The third day of the tournament is solely for the Men’s Open Competition. This is a five man team competition, and also fought in a modified knock-out ladder format. It is an open competition, so there are no restrictions in dan-level and nationality. The teams are thus usually composed of the sensei (teachers) or the highest level kendoka of the clubs or countries being represented. In last year’s event, IGA Ken sent seven students to test for 1-dan and 2-dan ranks. Six of the seven were able to pass, which was a good result, considering the 90% pass average for those ranks. For the Ladies Open, IGA Ken fielded two teams (out of a total of 33 participating teams). IGA Ken B had a 1-1 record, dropping them from their elimination pool. IGA Ken A had a stellar performance, going all the way to the finals. They finished 2nd overall, only losing to the All Japan Budogu Team. In the 3Dan and Under tournament, IGA Ken was only able field one team (out of 40+ participating teams). They were able to fight their way out of their elimination pool, but lost to Vietnam in the round of 16. In the Men’s Open, IGA Ken was also only able to field one team (out of 60+ participating teams). They wound up with 1-1 record, not good enough to get out of their elimination pool. For this year, IGA Ken is looking at the biggest delegation yet fielded for this event. A total of 25 members are going, almost all of whom will be competing in the event. A total of 17 members will be taking the dan-exams this year. 11 of them will be taking the 1-dan exam, 5 will be taking the 2-dan exam, and 1 will be taking the 4-dan exam. We are gearing for a 100% pass rate for this year. We are also fielding 3 teams for the Ladies’ Open, 3 teams of the 3Dan and Under Competition, and 1 team for the Men’s Open. For the Ladies, we are certainly looking forward to them equaling or even surpassing their success from last year. For the 3Dan and Under, we look forward to them finally breaking into the quarterfinals and beyond. We have high expectations for our teams and dan exam candidates. Regardless of the outcome of the event, the club is already very proud of our delegates. We are sure that they will do their best to represent the Philippine brand of Kendo to our Asian neighbors! This entry was posted in Competition, Uncategorized and tagged 15th Hong Kong Asian Open Kendo Championships, Arena Fitness Dojo, competition, Dasma Dojo, hong kong, hong kong asian open, Iga ken, Iga Kendo, IGA Kendo Club, Philippine Kendo, tournament, UP Kendo Club. Bookmark the permalink. ← Valentine’s Day & the Igarashi Birthday Celebration!